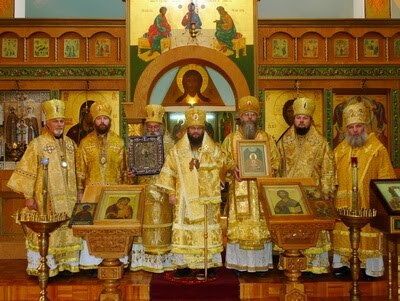 The Hierarchical Council of a schism from the Russian Orthodox Church Outside Russia, the Russian Orthodox Church in Exile (ROCIE), has met at Holy Transfiguration Skete in Mansonville, Quebec, to discuss the internal life of the Church in Exile and to consecrate Hieromonk Ambrose (Dvornichenko) as Bishop of Denver and auxiliary of the ROCIE's Western American Diocese. 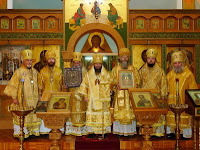 Hierarchs from the ROCIE in North America, the former USSR, and Western Europe took part in the Council. More (in Russian) on the recent meeting can be found here.